After weeks and weeks of glorious sunshine, England has reverted to rain (much needed around the country, but not ideal for garden visiting). This weather suits me fine because I'm currently doing a total immersion Hindi language course in preparation for my next India trip in a couple of weeks time. This requires long periods of study and although I love the challenge, it's a bit like having a python in your mouth! There are days when I just scream with frustration as I struggle to learn a Sanskrit alphabet and a completely alien language, but I do know the Hindi words for "flower" and "rain", so a visit to a new garden seemed like a good idea yesterday. Godinton House near Ashford in Kent took my fancy, although Sezincote would have been more appropriate to my studies, and I set off to see one of the finest gardens I've seen yet this year - with roses that made me stop in my tracks because the scent was so glorious; an Italian garden (above and below) to soothe my muddled brain; a walled garden filled to bursting with stunning blooms; and the chance to blow the cobwebs away as I wandered through the adjoining parkland. I even had a visit from the sun later in the day! 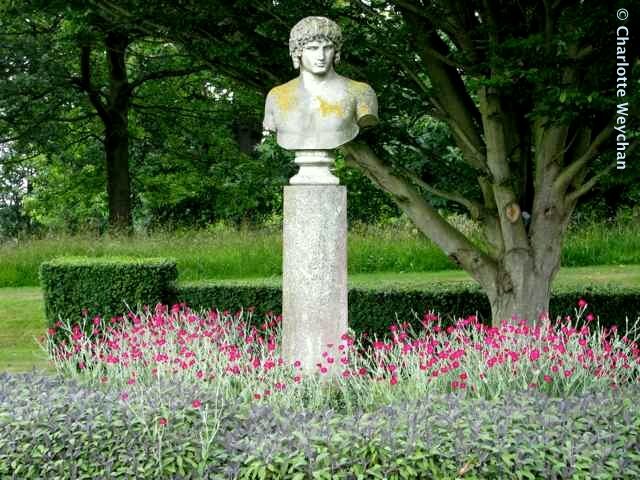 Godinton House was built in the 17th century, but the 12-acre gardens were redesigned at the beginning of the 20th century by architect - Reginald Blomfield - and are essentially formal in style. 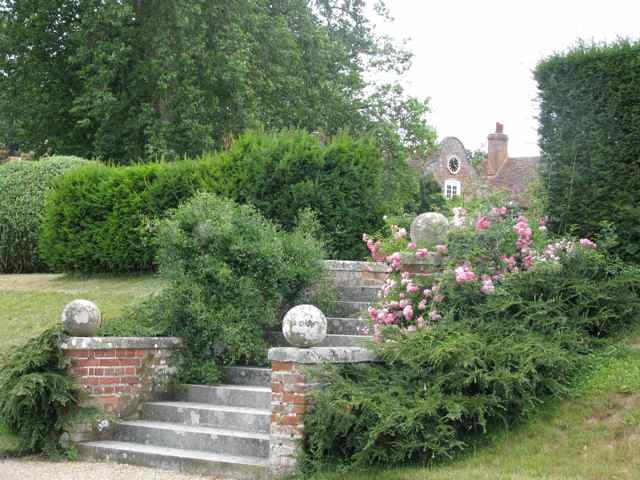 This is certainly a garden with lots of space and wonderful views over the surrounding countryside, which contains many smaller garden areas within including a rose garden, wild garden, walled garden and Italian garden. 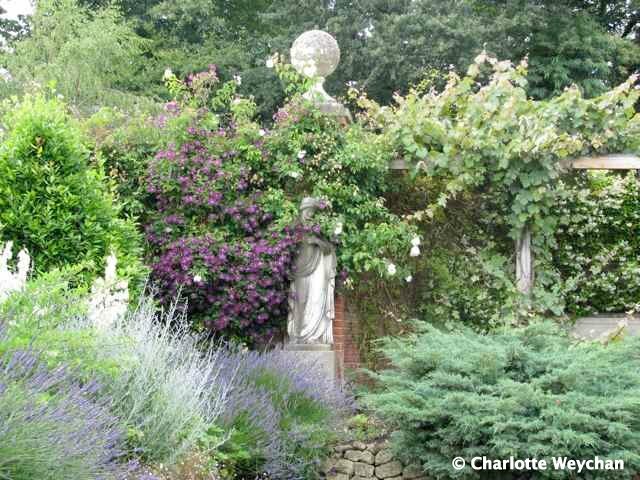 There is also a parterre, overlooked by a statue of Pan and a lovely water garden. 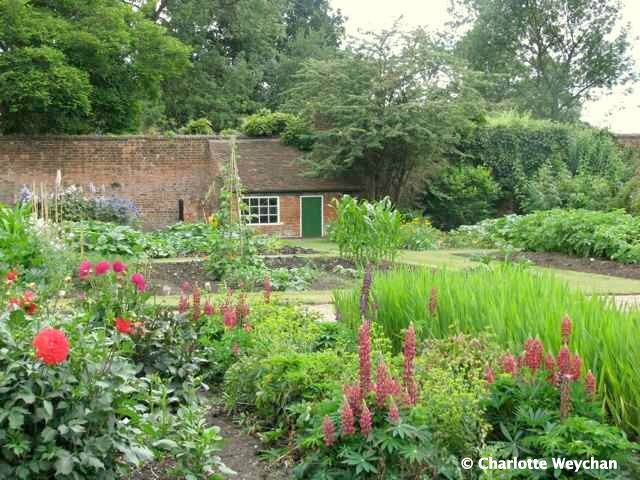 The walled garden (above) was formerly a productive kitchen garden, but today is used primarily as a cutting garden and is filled to bursting with wonderful flowers at this time of year, including a magnificent collection of delphiniums, maintained by the Delphinium Society. There are also large greenhouses at one end of the garden housing tender plants. 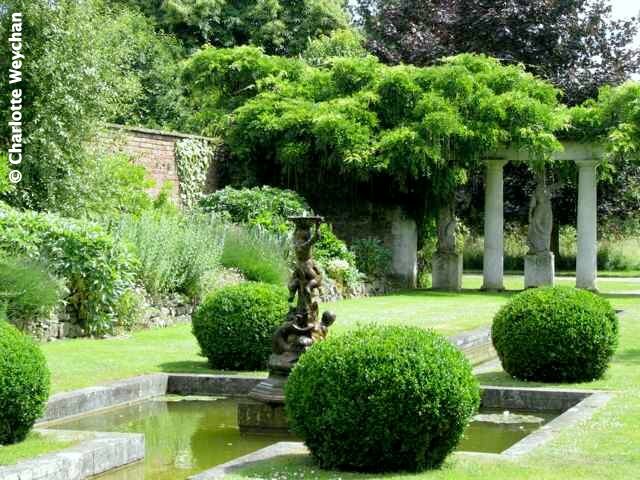 Godinton also serves as home to many interesting garden courses, including one run by fellow Blotanist, Marian Boswall, which starts in the New Year. This is definitely a garden to make a detour for - it's quite charming, free of crowds and close enough to many other gardens to combine on a day out. I also visited Goodnestone Park yesterday, which I'll be reviewing later this week. But for now, it's back to the Hindi for me, to learn more useful phrases and tame the python! Souinds and looks like a lovely garden. Good luck with the Hindi and have a good trip in two weeks. lovely garden...good luck with the hindi...at least it is phonetically accurate unlike english..and the locals really appreciate when you speak in hindi, no matter if it is only a few phrases like me..have a good trip!